IT'S the story that's sure to make your day just a little bit better. 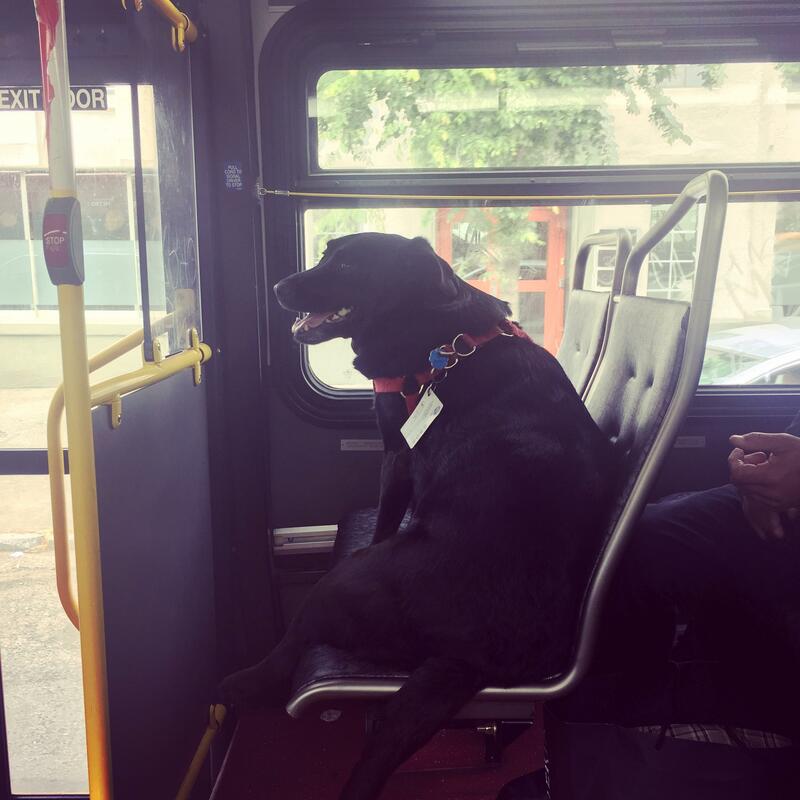 Meet Eclipse, a Labrador from Seattle, who is able to catch the bus on her own and whose owner has even bought her a pass - just to make sure she's paying her dues. The remarkably cute story has gone viral after a member of the public posted it on Reddit Aww. "So this is Eclipse. Every day she leaves her house by herself, and takes the bus downtown to the dog park. She even has her own bus pass attached to her collar," user SeattlecityMisfit posted before other users chimed in to explain what was going on. Comment from discussion So this is Eclipse. Every day she leaves her house by herself, and takes the bus downtown to the dog park. She even has her own bus pass attached to her collar..